Welcome to the future of Construction in Canada! 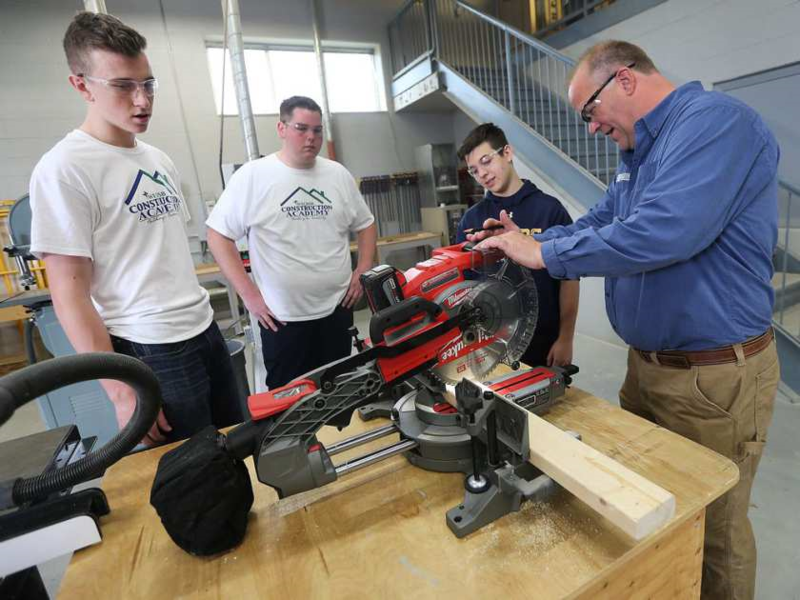 ​The Windsor Essex Catholic District School Board introduces its Construction Academy. 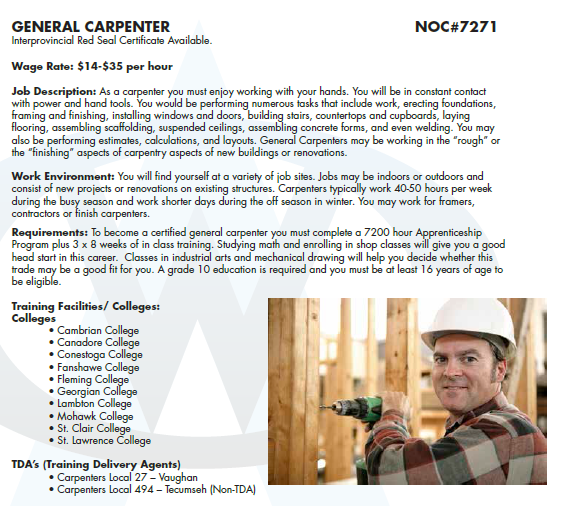 The Construction Academy is a unique program that provides students with apprenticeship and employment opportunities in the construction industry while providing employers with a new source of workers to address skills shortages. Participating students are given the opportunity to start their apprenticeship while in high school through the Ontario Youth Apprenticeship Program (OYAP) and gain real “on the job” experience. 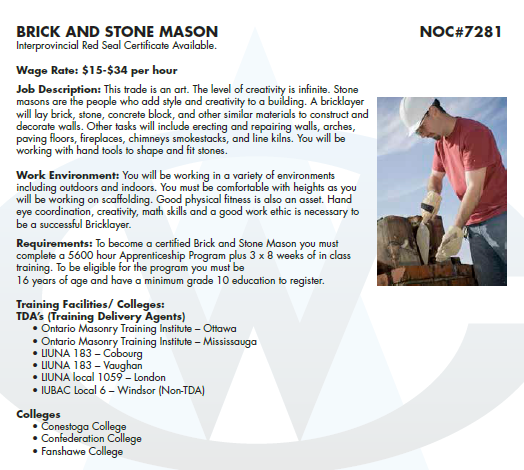 This program is available to all WECDSB students but delivered at two WECDSB schools: F. J. Brennan (Masonry) and St. Joseph’s Catholic High Schools (Carpentry). 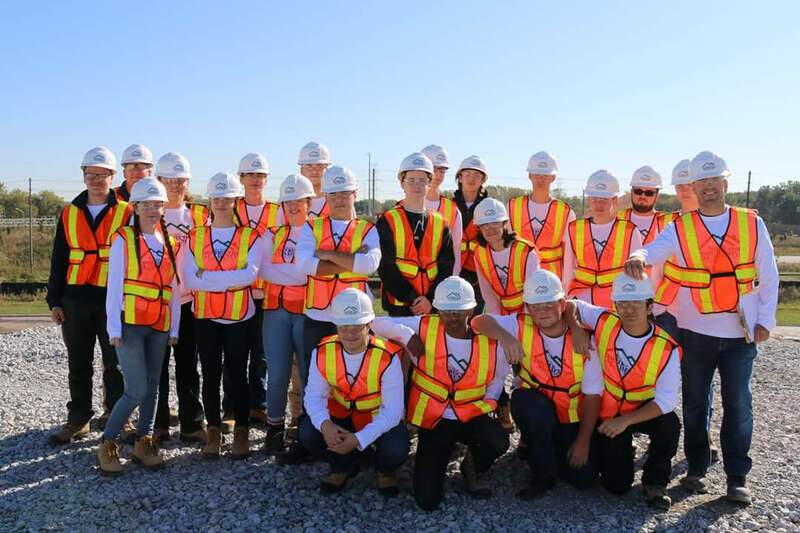 Students form the Academy recently toured the new Windsor City Hall Site, a new residential development by Timberland homes, and took o full tour of the Gordie Howe International Crossing. The construction industry is the second largest industry in North America. If you think it’s all about hammering nails and pouring cement, think again. Construction is a $130-billion industry that accounts for more than 12% of Canada’s economy. Because of its magnitude, it offers a great deal of career opportunities. ​This industry needs sharp, talented, and competent young people. It needs people like you! Due to an aging workforce, this industry needs them now and will need them next year, five years from now, and thereafter. Hundreds of jobs and a major economic boost for Windsor is less than a couple years away now that the final stage of bidding has been launched to select a builder for the Gordie Howe International Bridge. Positions in this industry have been hard to fill due to a lack of qualified applicants. In a recent employer survey, 71% of employers plan to hire in the next year. Construction careers are cool. The demand is high. The wages are great and you can earn while you learn. 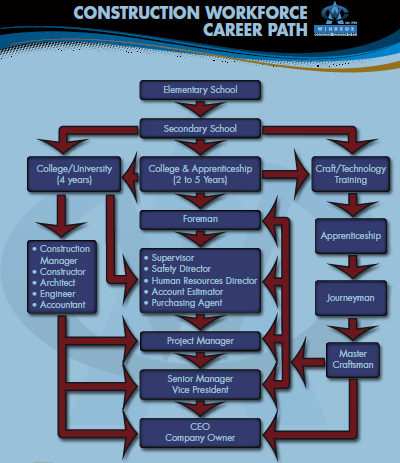 There are opportunities for advancement to foreperson, supervisor, estimator, project manager or business owner. For a complete program overview, click here.